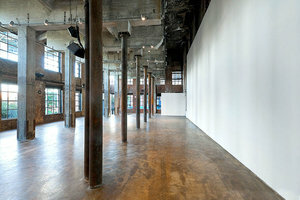 This industrial gallery space is just steps from the Brooklyn Bridge Park in vibrant DUMBO. It is perfect for Exhibitions, Product Launches and Private Events. 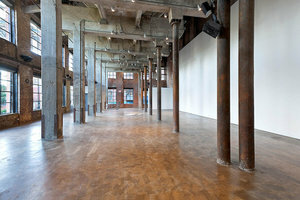 With beautiful views of the city skyline, this space has a uniquely creative yet industrial atmosphere. 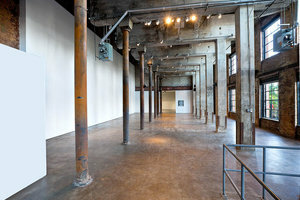 The fresh white walls juxtaposed to the exposed bricks and steel pillars along with the large windows and plenty of natural light create a typical DUMBO artist's loft feel. Situated between the Brooklyn and Manhattan bridges and surrounded by independent retailers and reputable, innovative art galleries, this space is an outstanding opportunity for curating unforgettable pop-up events.